Israeli army radio host Erel Segal poses making fun of Marwan Barghouti, with logo of Israeli army radio on cups. "A great Monday morning Mediterranean breakfast,” he wrote. Israel has plunged into unfathomable depths of cynicism and callousness, in its mockery-campaign targeting hunger strike leader Marwan Barghouti for supposedly eating a cookie and a wafer in his prison cell toilet cubicle. This campaign of incitement has been orchestrated by Minister of Internal Security, Strategic Affairs and Hasbara (propaganda), Gilad Erdan. But Erdan is not alone. The campaign to humiliate Barghouti is being taken up by a gleeful media and public. So here we have an institution – Army Radio – directly implicated in this mockery. But they weren’t the only ones. Pizza Hut ran a mock campaign on its Facebook page yesterday, using a still caption of Barghouti on the toilet, with a banner saying, “Barghouti, if you’re going to break a strike, isn’t pizza better?” – the meme added a pizza box on the floor and a pizza slice in the sink. The post was since removed, but here is a cached version (thanks to Tali Shapira, Ofer Neiman for noting). (An English version that is somewhat shorter was published on +972 Magazine, titled ‘Israelis simply don’t want to know about Palestinian prisoners’). ‘On odd days of the week, the ”Israeli regime and media ”prove to the Israeli public that Marwan Barghouti and his comrades are dangerous and steadfast murderers. On even days of the week, the Israeli regime and media “prove” to the Israeli public that Marwan Barghouti and his comrades are spineless cowards. “After three weeks of hunger strike, the Israeli public neither knows nor wants to know what happens to a body after it is deprived of food for so long. How the hunger striker struggles to stand on his feet, suffers from severe dizziness, a dramatic decrease in heart activity, fatigue, tremors, and potential damage to his lungs and motor skills. As the days go by, prisoners will have a difficult time swallowing water and may lose their sight, their ability to hear, and will have a difficult time breathing. And all this without going into the psychological consequences. But the Israeli public neither knows nor wants to know. The Israeli public neither knows nor wants to know about the enormous significance this strike has for the Palestinian people on the outside; about the solidarity protests and tent encampments erected in support in nearly every city across the West Bank; about the people who joined the hunger strike in solidarity with the prisoners; about the hopes among the hunger strikers that this will move forward an internal dialogue between Fatah and Hamas. It does not know about the “Saltwater Challenge,” in which Palestinians around the world film themselves drinking a cup of saltwater in solidarity with the prisoners. It neither knows nor wants to know. “For me this shows a dark side so entrenched in Israeli society that it was deemed OK to do this. Similar to those hideous … bags supporting Elor Azaria by Rami Levy supermarkets for murder”. Gaskell is refering to supermarket bags with the image of the medic-killer Elor Azaria. That’s where Israel is. A sweeping arrogance, callousness and ignorance. It’s hard to see light at the end of this horror show. This is the real terror of it all. C’mon, Jackdaw – defend this behaviour. Well , that put,s Pizza Hut off my junk food list. I thought the British were pretty evil ,given the ugliness of some of their jokes about Bobby Sands and the other strikers , but this is streets ahead in depravity. Why is it that zionists demand so much respect and yet show none to anyone else. Won,t this be a far more improved world when it has been cleansed of the scourge of zionism and it,s practitioners have been suitably neutralised. This is sadistic behavior, the hallmarks of zionists. They have a sick sense of humor, and behave so inappropriately, when it is about the goyim suffering. These are the same people who picnicked in hilltops to watch their brutal military drop bombs over Gaza resulting in the deaths of thousands of civilians mostly women and children, or celebrated the murder of a little baby, stabbing a picture of the little vicim while dancing at a wedding. Predictable behavior. And, withal, they demand recognition of Israel’s “right to exist as a Jewish state.” Well, maybe, if its “Jewish” people behaved like Jews (and not like medieval Jews but like, shall we say, Lib-Jews or nearly secular Jews, in short like decent human beings living among other human beings, but definitely not as Zionists, they might — just might — deserve such recognition. But after all this — KKK, move over. Diplomacy is based upon reciprocal agreements between states, entities, whatever. The Israeli precondition of recognition as a Jewish state is simply a means to avoid a resolution. If Israel was truly interested in being recognized as anything including a furry stuffed toy it would make an offer it return. Instead it denies the existence of the victims of it’s racist screed. The world will be a better place when ideologies such as zionism and that expounded upon by echinococous (sp) are left behind. Neither has the moral high ground. Sad and alarming. Where is the International Committee of the Red Cross? Where is anybody that cares about these people? We had sanctions on Iraq that killed hundreds of thousands of children. Let’s impose sanctions on the right-wing-frenzied modern state of Israel. Based on an incredible true story and Shimada Masahiko’s subsequent novella Until I Am a Mummy, this fusion of peaceful imagery, evocative sounds and macabre journal entries reconstructs a nameless man’s agonizing death by self-imposed starvation. Do I read that aright? Pizza Hut has actually apologised for the actions of its Israeli associates? I expect Pizza Hut to be now attacked as a bunch of anti-Semites. The bodies of Barghouti’s five murder victims collapsed into the dust many years ago. Can we give the innocent victims a voice too, or is that only for terrorists? 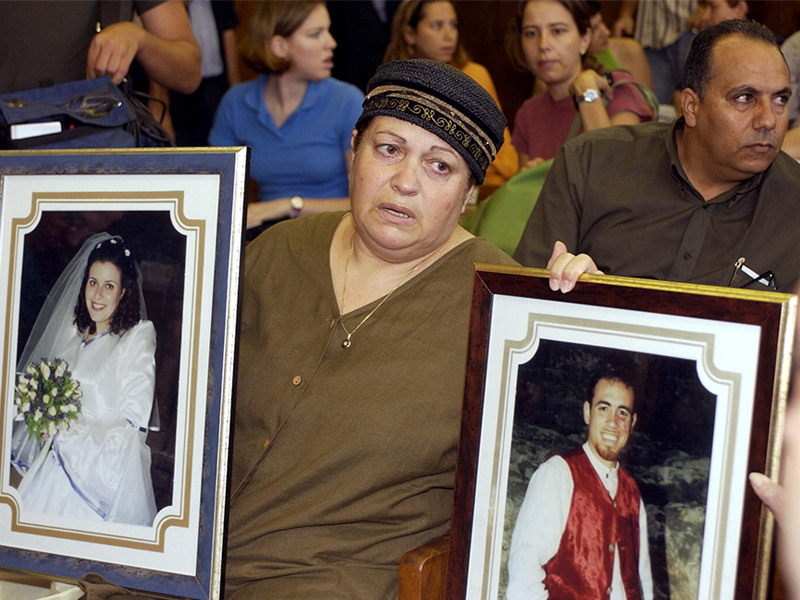 Crimes orchestrated by Barghouti include: The murder of Greek monk Tsibouktsakis Germanus in Jerusalem; the murder of Yoela Hen in Jerusalem; and the murder of Eli Dahan, Yosef Habi, and Salim Barakat. Will you have the decency to at least click the link and gaze at their faces? commentisfreewatch is/was a nasty little organisation dedicated to trolling the opinion section of the Guardian’s website whenever the paper publishes an article on I-P.
Look, Barghouti was imprisoned for the simple reason that Israel fears non violent Palestinian leaders more than anything or anyone. Barghouti needed to be rendered ineffective, so Israel chose to imprison him. Problem is that, along with Palestinian justice activists everywhere, he cannot be silenced. Barghouti was imprisoned at a time of violence. You can question the court of law he was judged in, but to pretend he was leading a nonviolent movement at the time of his arrest is totally false. Just had the Corries over as house guests while they attended, ‘My Name is Rachel Corrie’, in SF. Going over the mock trial that dragged on for over 10 years in Israel, while ultimately absolving Israel and its ‘most moral army in the world’ of any crimes, further reinforced for me the fact that justice for non Jews, particularly Palestinians, simply doesn’t exist in the Jewish state. So, Jack, I’m not interested in reading anything ostensibly in support of Barghouti’s imprisonment. The Israeli so-called justice system, at least for non Jews, has zero credibility with me, or with practically anyone else in the world. Israel should be ashamed of it self. This is so horrible The way the palestinians get treated in their own country under occupation, What’s more horrible is that the world turns a blind eye.